We review the brand-new Leica M Monochrom (Typ 246) with a new 24 megapixel black and white CMOS sensor. Leica's new Leica M Monochrom (Typ 246) is the latest monochrome digital rangefinder, updating the original 18 megapixel Leica M Monochrom, with a new 24 megapixel black and white CMOS sensor. Using a purely monochrome sensor there is no need for a colour filter or anti-aliasing filter, so there is no interpolation giving sharp images, as each pixel is simply used for detail. This also gives higher sensitivity and improved performance when using higher ISO settings. The camera shares the same size and body as the Leica M (Typ 240), but with a black matt finish which is said to be the most discreet Leica ever released, with no Leica red dot to make it stand out, which will be of benefit due to the value of the camera, having an RRP of £5750. 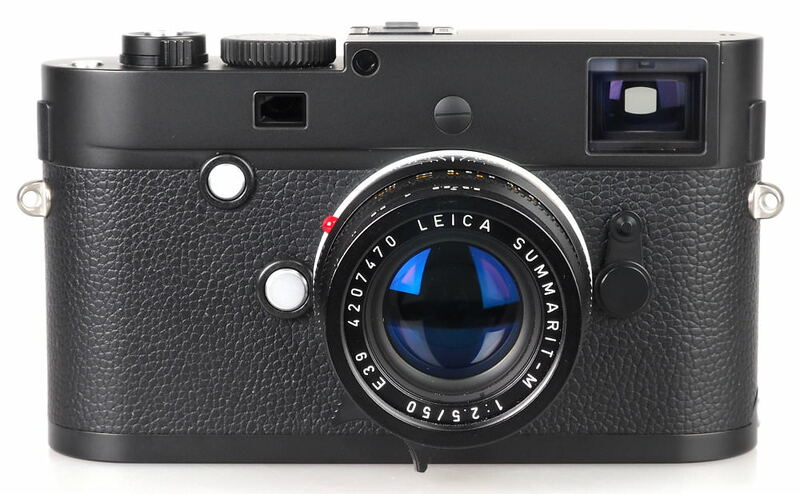 The 24-megapixel sensor is a black and white version of the 24-megapixel sensor used in the Leica M (Typ 240), made by Belgium company CMOSIS. The sensor has an ISO range of ISO320 to ISO25000 and records 14bit RAW (DNG) files with no noise reduction applied. Noise reduction is applied to JPEG images. 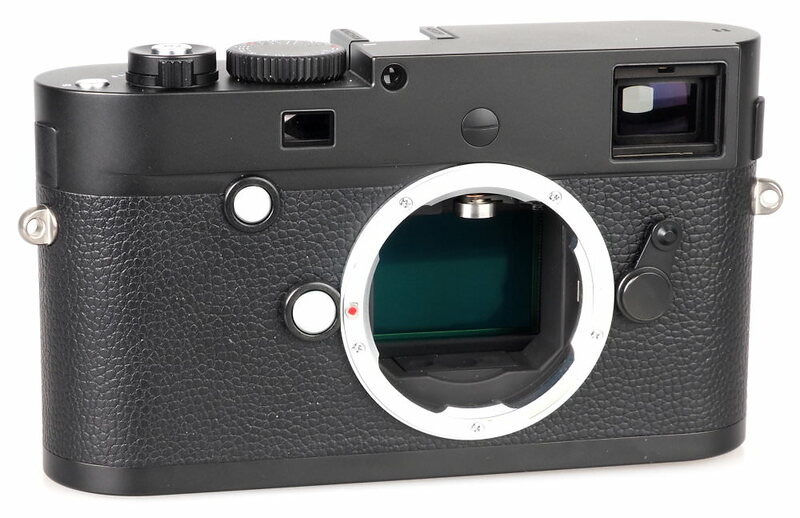 The camera has a 2GB buffer memory, as well as the Leica Maestro processor, which is said to be 3x faster than the predecessor using in the original Leica Monochrom. The new processor is said to give almost 4fps in continuous shooting mode, with the ability to take up to 30 frames in sequence. The rear features a high-resolution 3inch screen, with 921,600 pixels and is scratch resistant with sapphire crystal glass and an anti-reflective coating. The camera features live view which enables 5x or 10x focus peaking with a red, green or blue highlight line to aid focusing. This works in both stills and video. The camera records 1080 FullHD video, and the camera features a built-in mono microphone, and an optional stereo attachment is available. 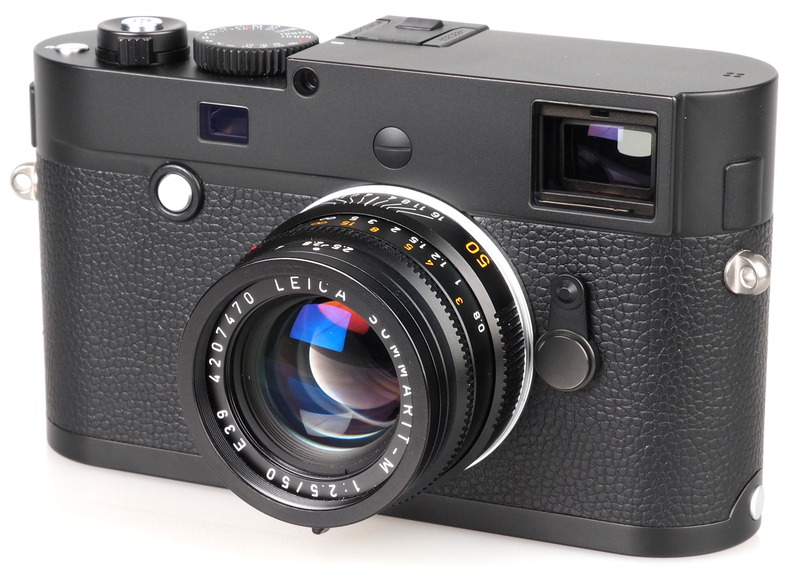 Using the Leica M Adapter-R you can use R-series lenses. 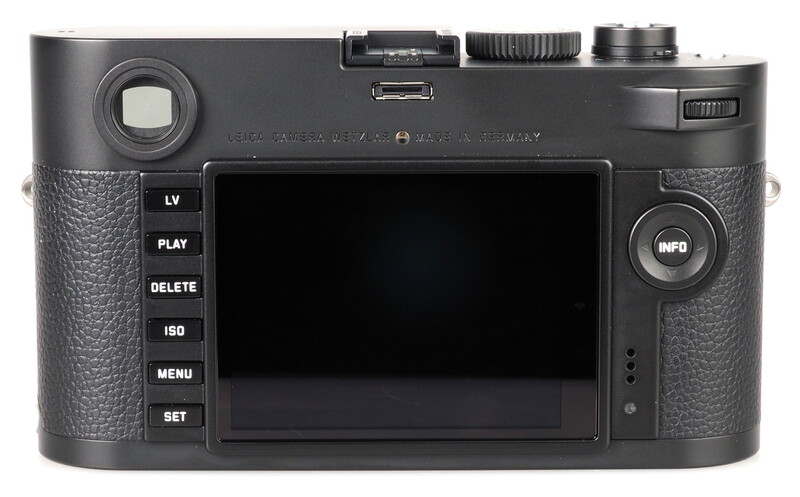 Using the same body as the Leica M (Typ 240), it is compatible with the same range of accessories, which includes the optional electronic viewfinder (EVF), GPS, flash, stereo mic, and a range of cases. The design of the new Leica 50mm f/1.4 and 35mm f/2 match the new Leica M Monochrom (Typ 246), and the M range now includes 7 cameras in total. The M Monochrom (Typ 246) has an RRP of £5750 GBP and includes Adobe Photoshop Lightroom, which compares favourably to the RRP of the original Monochrom of £6100. The new M Monochrom (Typ 246) is available now. Leica is also introducing a range of black and white filters in yellow/orange/green in 39mm and 46mm fitment, from July. The camera has a solid weight and reassuring heft feeling heavier than it looks, thanks to an all-metal die-cast magnesium body, with brass top and base panels. The grip covering the camera body is made from synthetic leather. With minimal external controls, the top features a shutter speed dial, and the on / off switch doubles as the control for the drive mode, letting you choose from single, continuous and self-timer shooting. The shutter release also has a screw thread for screw-thread release cables, another "old school" way of shooting. There is also the addition of an 'M' button which is used to start and stop video recording. The bottom of the camera has a rather old fashioned bottom plate that needs to be removed to gain access to the memory and battery compartments, although this does provide good protection for these. There is a metal surround around the optical viewfinder, which will not be ideal for people wearing glasses. The back controls give you access to LV (Live view), play, delete, ISO, Menu, and set, along with a four-way controller with middle Info button, and a scroll wheel. By default the camera's rear screen is off, leaving you to take photos using the viewfinder. The rear 4-way controller and scroll wheel are now black, which makes this camera more subtle when compared to the M 240. 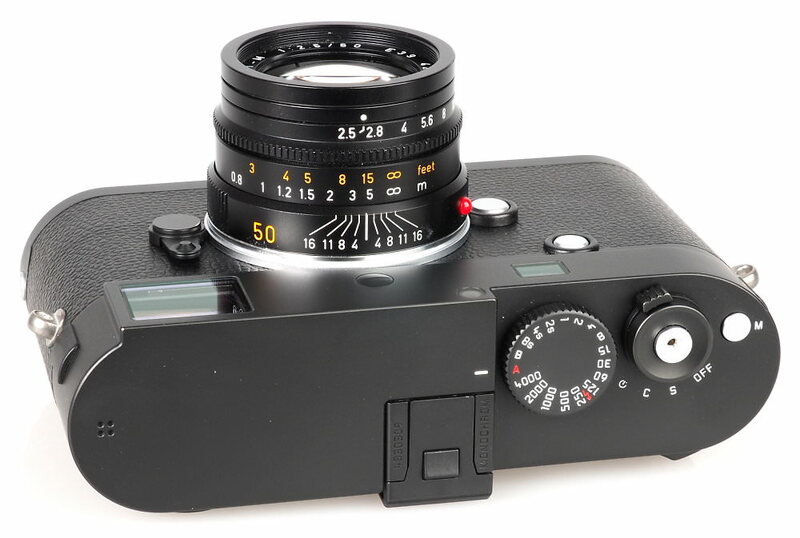 As with other Leica M cameras, it is manual focus only, with just the centre of the frame being the focus area. You can focus through the optical viewfinder, then re-compose if your subject is off-frame. Or if you become familiar with your camera through practise you can get good at estimating the focus distance, set the focus on the subject and have the camera focused before you hold the camera up to your eye, so that when it is held up to your eye you can take the photo straight away, capturing the instant moment. In live view manually focusing the lens automatically activates focus peaking, and it is easy to see when the subject is in focus thanks to the red, green or blue (customisable) outlines on-screen. The screen refresh rate is quite slow, however screen quality is good. The Leica M Monochrom (Typ 246) is compatible with the Leica EVF2 electronic viewfinder, which was released with the Leica X2. The top M button is used to start and stop video recording, and the front button can be used to enter focus peaking when in live view. Highlight / shadow clipping can be setup. The menus are rather basic but are clear and easy to read. Once you are familiar with them you shouldn't need to use them very often, instead using the rear ISO button and set button to change the most regularly changed options. 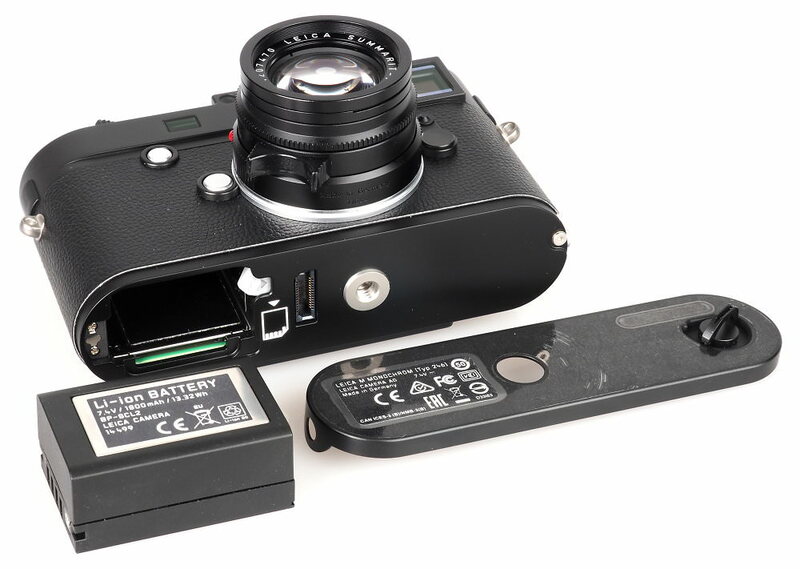 Battery life - Battery life is rated at 800 shots according to Leica / CIPA test results, when not using live-view. This is excellent and should last you a very good length of time before you need to recharge or change your battery. Shutter response is very quick whether using the camera traditionally or when using Live view. Sample photos - Like the original Leica M Monochrom, images are generally slightly under-exposued rather than over-exposed, although with higher default levels of contrast, meaning you get pleasing images straight from the camera. For the best results additional processing is recommended, to suit your tastes. The levels of detail it's possible to record with the camera is impressive. Using the AdobeDNG raw files it is possible to recover lost highlight and shadow detail that may be lost in JPEG images. There is also very high levels of detail, even when viewing images at 100%, and as the ISO setting increases the camera continues to record good levels of detail without noise becoming ugly. With a full-frame sensor, and the use of bright lenses it's possible to get pleasing background blur (or bokeh). An example of an image that has been processed further can be seen in the ePHOTOzine gallery. Leica has provided a number of full size sample photos, which can be seen above, showing the levels of detail possible with the new camera. The ISO setting ranges from ISO320 to ISO25000. Photographs taken at higher ISO settings such as ISO12500 show some signs of noise, however the noise displayed shows a pleasing film-like quality, thanks to there being no issues caused by colour sensors. There is obviously none of the pesky colour noise in images that you would usually get when using high ISO settings on a normal camera. Whilst ISO25000 shows the highest levels of noise, detail is still retained, meaning that it should be possible to shoot at this high ISO setting and still get usable images. Auto White Balance (AWB) - There are no white balance settings, so we've taken these photos to show the detail captured and response of the camera under tungsten and fluorescent lighting rather than colour information. Video - Video options include 1920x1080 full HD video, at 25 or 24fps, and there are manual microphone sensitivity settings, as well as wind reduction. As the camera does not feature optical image stabilisation, nor electronic or digital image stabilisation, a tripod or sturdy support is recommended for video use. For better audio quality, the optional stereo microphone would be recommended. 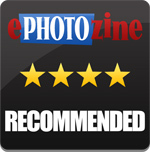 Sample videos can be seen on the ePHOTOzine YouTube channel. The Leica M Monochrom (Typ 246) will be a welcome update to those who want to shoot in black and white, and uses the Typ 240 camera body to bring all the latest features to the monochrome camera. Improvements include a high resolution 3 inch screen, optional EVF, quicker continuous shooting and an improved buffer, along with live view and full HD video. Focus peaking can now be used and thanks to a red highlight makes it easy to quick focus the camera for those that haven't yet learnt to focus by distance. 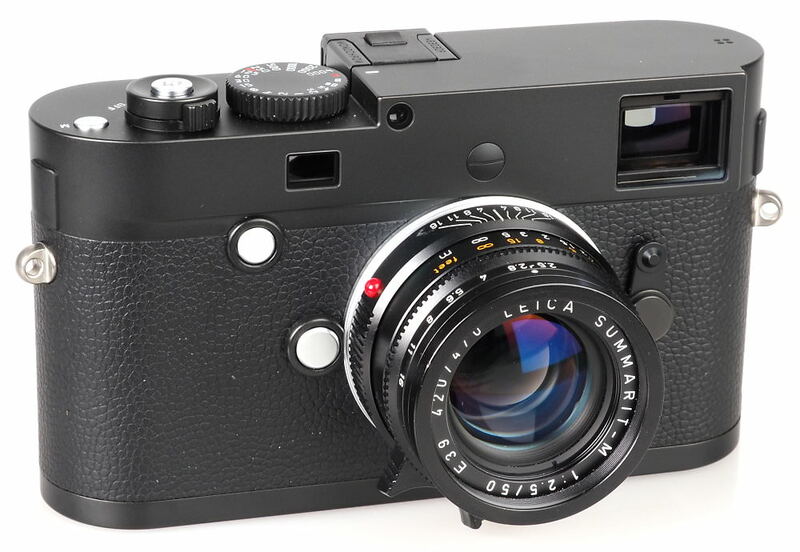 The original Leica Monochrom was planned as a limited run of monochrome cameras, however the popularity and demand for the camera meant that Leica ended up turning the camera into a production model. Thanks to the original cameras success, Leica has now released the M Monochrom (Typ 246), which is also a production camera (rather than a limited edition), and with the updates, we would expect this new camera to be popular with those who have a love for black and white photography. Whilst the M Monochrom (Typ 246) will not be for everyone, the performance on offer and image quality available will make this camera extremely desirable. We enjoyed our time shooting with the camera, and were impressed by the results possible, however there will be those that simply don't get on with shooting with a rangefinder, which is still a manual camera, requiring manual focus and aperture settings. The Leica M Monochrom (Typ 246) brings the monochrome Leica M digital rangefinder up to date, and offers exceptional black and white image quality. "We review the brand-new Leica M Monochrom (Typ 246) with a new 24 megapixel black and white CMOS sensor." "Leica has provided a number of full size sample photos"
"We will add our more usual studio images when we have the camera in the office"
The winter pics are ama amazing, the ones from a city not. Clearly aimed at artist/landscape photographers. Darn it ! The card on my Leica is full. Does anybody want it, for scrap purposes ? At £5750, how about including an interchangeable colour sensor in the package? With film cameras at least you can choose the film - colour or black&white. Rolleiflex even constructed the 2000/3003 35mm system with interchangeable film backs, and you could change mid-roll, so it's possible. This is obviously aimed at the professional color blind photographer with a LOT more money than sense! I don't know what Leica is smoking over there, but I want a bag! This is obviously aimed at the professional color blind photographer with a LOT more money than sense! I don't know what Leica is smoking over there, but I want a bag! [quote]"We [u]review[/u] the brand-new Leica M Monochrom (Typ 246) with a new 24 megapixel black and white CMOS sensor." "Leica has provided a number of full size sample photos" "We will add our more usual studio images when we have the camera in the office" Sooooooo you don't have the camera, and haven't taken any pictures with it. Don't you think this is more of a first impression rather then a review :)[/quote] The set of photos credited to Leica are provided by Leica, the rest taken by us. Quote:"We review the brand-new Leica M Monochrom (Typ 246) with a new 24 megapixel black and white CMOS sensor." The set of photos credited to Leica are provided by Leica, the rest taken by us. It takes a special kind of stupid to spend $7,000 on a black and white, manual focus camera. But then again, it might have a really nice paper bag carrying case to accompany it, so I might be hasty in my judgement. will you (anyone) be able to tell if an image has been taken on one of these super duper machines or on any DSLR and monochromised if viewed on a computer? You're paying for the name really. There are so many other ways of achieving similar results at a fraction of the cost of this camera. You're paying for the name really. There are so many other ways of achieving similar results at a fraction of the cost of this camera. Some nice pictures of one-trick ponies here. Seems to be a Leica speciality. deliberate ploy to make it a collectors piece ?? one big question mark !!!!!!!!!!!! !......& at £5750, it's just a joke !!!! I would be interested to see a comparison with the X Pro1 B&W out of camera images, I cant see the Leica justifying the price difference.